TOPEKA, Kan. – The 48th annual KSHSAA State Volleyball Tournament will welcome a new championship host site in 2018. Classes 3A and 4A will compete for trophies at the Hutchinson Sports Arena for the first time. “The 2018-2019 school year will see a change in our school classification system which will result in a decrease in the number of tournaments for this state event. With this change we have explored some of the new venues and upgrades made to other facilities across the state as options for this tournament series,” said Cheryl Gleason, KSHSAA Assistant Executive Director & Volleyball Administrator. “We are excited about the opportunity to conduct a state volleyball event at the Sports Arena in Hutchinson and the other adjustments made to our tournament locations”. While the city of Hutchinson and Hutchinson Community College have played host to the State Basketball Tournament for 75 years and the State Football Championship at Gowans Stadium since 2006, the first state championship trophy for volleyball will be awarded in “Hutch” this fall. “Hutchinson Community College is excited to play host the 2018 KSHSAA Class 3A & 4A State Volleyball Tournaments. Our experience in hosting 3A football and 3A basketball will benefit us greatly as we prepare to host 16 of the state’s best 3A and 4A volleyball teams. The City of Hutchinson has made a commitment with the renovation of the Hutchinson Sports Arena to bring quality championship-caliber events to our community. The relationship between the KSHSAA, Hutchinson Community College and the City of Hutchinson continues to grow with the addition of this great event,” Josh Gooch, Athletic Director, Hutchinson Community College. “We are excited that the Kansas State High School Activities Association has chosen Hutchinson and the Sports Arena as the site for this year’s 3A & 4A State Volleyball Tournament. We can’t wait to welcome these teams to the newly renovated Sports Arena and be able to showcase one of the best volleyball facilities in the state of Kansas,” said Holly Leiker, National Sports & Destination Sales Manager for Visit Hutch. 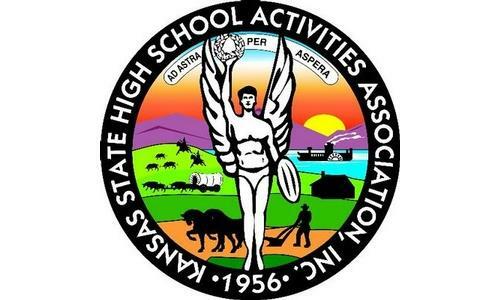 Classes 6A and 5A will take the court at the Tony’s Pizza Events Center in Salina while class 2A will compete at Gross Memorial Coliseum on the campus of Fort Hays State University. White Auditorium (Emporia) will welcome class 1A, hosted by Emporia Recreation Department. State Volleyball is set for October 26 and 27 at all sites. For the 2018 State Football Championships the sites will remain the same, but with a shakeup of which classes assigned to specific venues has occurred. The addition of Class 1A and the removal of Class 4A DII, the number of classes and sites will remain the same. The 2018 Game Day Spirit Showcase Competition will return to the Kansas Expocentre-Landon Arena in Topeka on November 17. Last year’s inaugural event provided a new opportunity to over 1,400 students crowning six new champions. Registration will begin at 8 a.m. September 26 and close at 11 p.m. October 2. State Gymnastics will be held at Shawnee Mission South on October 20 and the championship sites for girls tennis, girls golf, cross country and boys soccer will be announced at a later date.